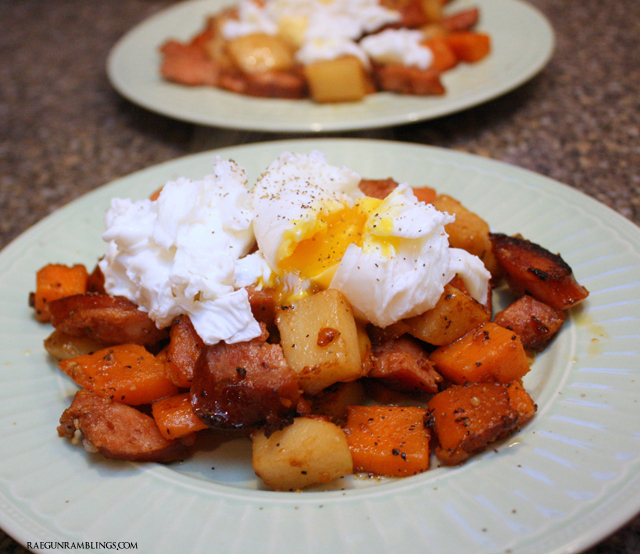 Kielbasa and Sweet Potato Hash Recipe and 50 Easy Weeknight Meals! Is it just me or does it seem like Fall gets SUPER BUSY? I mean I know for me it’s my busiest time of year but it seems even friends and family seem to have less time with school going back and holidays creeping up. So really who can’t use some easy weeknight meals this time of year right? I’ve teamed up with a ton of blogger friends to bring you guys 50 Easy Easy Weeknight Meal. My contribution is a super easy and satisfying Kielbasa Sausage and Sweet Potato Hash recipe that I whip up all the time. 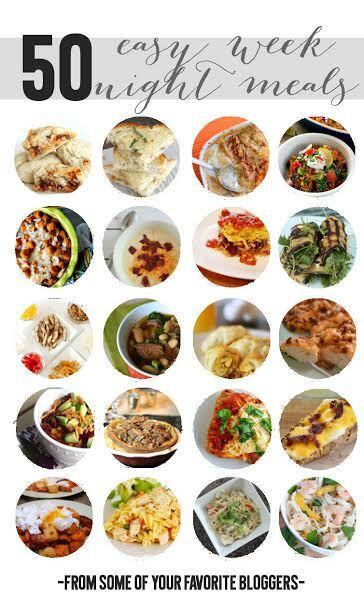 All of these recipes look so delicious I can’t wait to try them out. To get to each of the other recipes scroll to the bottom of this post. 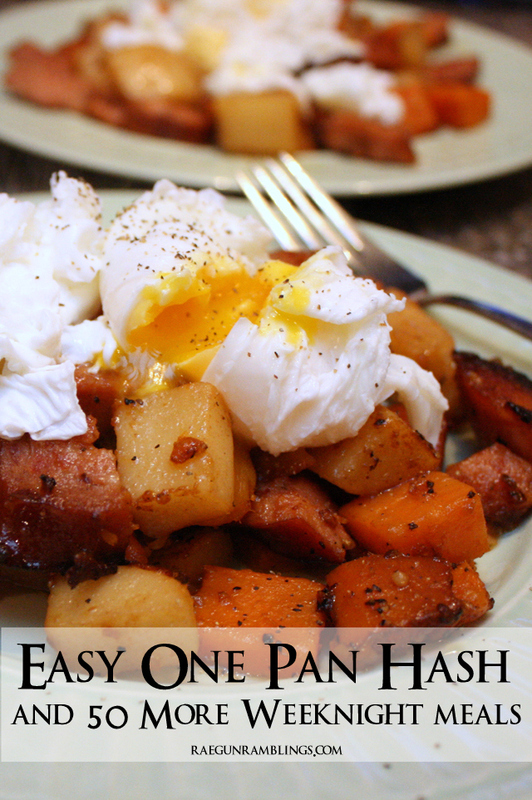 But before that here is how I make my easy peasy hash. Spray your large pan or wok with some spray oil and sautee the sausage and potatoes just to brown the edges. Season with steak seasoning and any other seasoning you desire. Add about 1/2 c of water and allow to cook in the water until the potatoes are tender. Sometimes I have to add more water. Stir occasionally. Poach (or fry) 2 eggs and serve on top of your has. So easy right? And this is such a yummy comfort food sort of meal. I’ve done it with all kinds of different types of sausages and seasonings for different flavors. This recipe serves 2 adults but can be easily increased! Now don’t forget about the other easy weeknight meals!